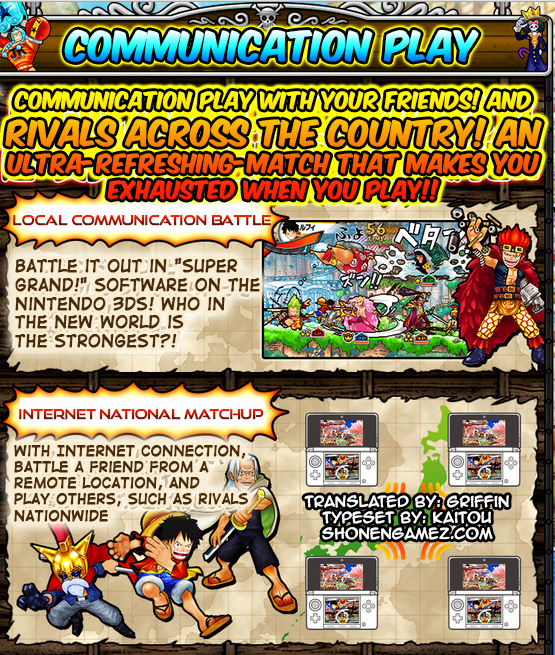 The One Piece: Grand Battle! X website has updated today with more information on how the game works. 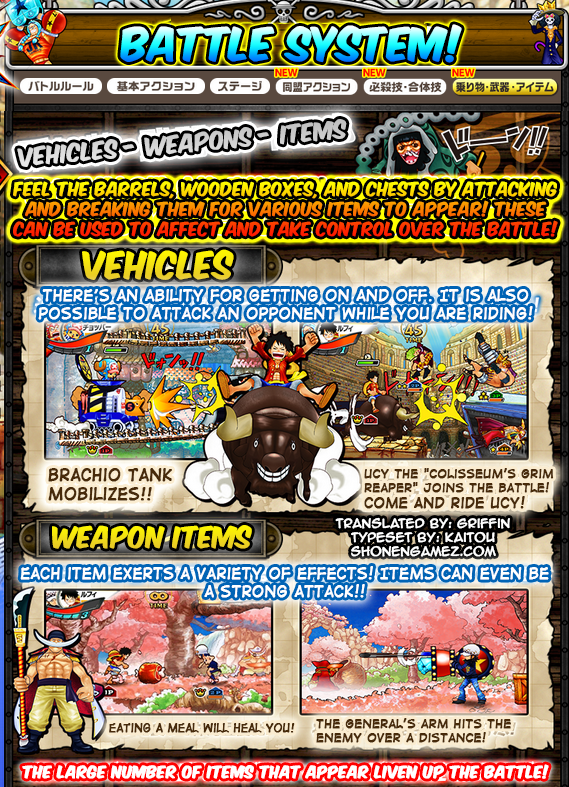 The first translation covers the Battle System’s vehicles and weapons. 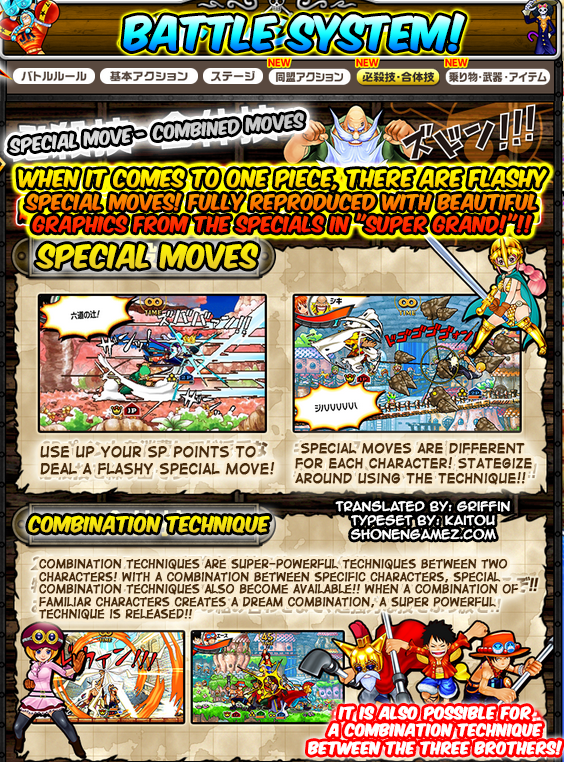 The second image gives information on the online mode and the last one elaborates on the combination attacks and specials.